Music is a great way to invest your spare time in, and there are a lot of ways you can get started. It’s also easier to do so as an adult, since you already know your tastes and you have easier access to a much wider range of instruments. The piano can be as versatile as it can be complicated to pick up, but it doesn’t have to be. There are many guides and tutorials you can look up online, and there’s a lot of sheet music for you to get started with. If size is your main concern, there’s also no need to have a baby grand installed – in fact, an electronic keyboard give you just as much options, and can even let you experiment with various sounds. You’ll be surprised at what you can actually play and how fast you can get past the learning curve. The piano and guitar often come hand in hand as the most versatile instruments that anyone can pick up and start learning. Today, the guitar is more popular than the piano because it’s used in so many music genres all over the world, and a good quality one is certainly more affordable than a piano. You can also learn songs more easily with chords. You also have more options to choose: electric guitar is easier to learn, and acoustic guitar is cheaper to pick up. If your home is quiet enough and you want to pick up something that’s slightly more inconspicuous, then you definitely won’t regret picking up what is perhaps the oldest instrument that’s still played today. It’s much lighter and easier to transport than the first two instruments, and even cheaper and easier to master. Once you do, the sound it a flute makes can mesmerize any audience from a distance, and the farther they are, the better the sound. There are also different types of flutes for you to choose from, such as end-blown flutes, side-blown flutes, and various flutes in different registers and keys. 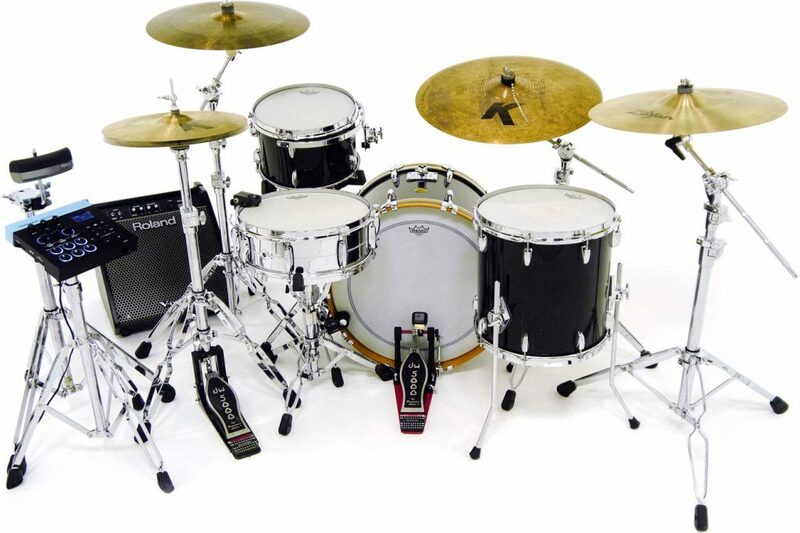 If you’re looking to join or start your own band, investing in a good kit will mean that you won’t have to upgrade or buy replacements as often as you would your counterparts who play the guitar or bass. However, when you do decide to play it at home, make sure you also include soundproofing panels in your investment to avoid upsetting your neighbors – they can also be quite noisy.